Just a couple months ago, we shared the news that Tyson Foods, the world’s largest processor and marketer of chicken, beef, and pork, raising their stakes in plant-based protein producer Beyond Meat, makers of the vegan Beyond Burger. Now Tyson is reaffirming their commitment to moving away from factory farming with a $150 million dollar investment in Memphis Meats, San Francisco-based makers of “clean meat” or “cultured” meat. While the terms of the investment are undisclosed, this is a yet another huge step forward towards sustainable meat options. Tyson joins other top investors including Bill Gates, Richard Branson, KBW Ventures (led by Prince Khaled), and even major beef supplier and global food conglomerate, Cargill. Memphis Meats has already succeeded at producing a lab-cultured meatball and chicken nugget. With the investment from Tyson, Memphis Meats is expected to ramp up their product development. While the terms of the investment are undisclosed, this is a yet another huge step forward towards sustainable meat options. Tyson joins other top investors including Bill Gates, Richard Branson, KBW Ventures (led by Prince Khaled), and even major beef supplier and global food conglomerate, Cargill. Memphis Meats has already succeeded at producing a lab-cultured meatball and chicken nugget. 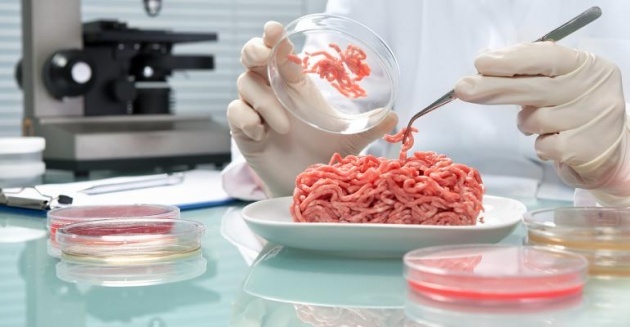 With the investment from Tyson, Memphis Meats is expected to ramp up their product development.